If you’re looking for ways to lower blood pressure naturally, it is useful to first understand what causes high blood pressure. 90-95% of all cases of high blood pressure are characterized as essential hypertension, which means that it’s an independent condition that is not triggered by another disease condition. High blood pressure will affect nine out of ten Americans during their lives; yet scientists still do not know what causes high blood pressure, most likely because high blood pressure results from a conglomerate of several factors. A lot, however, is known about the risk factors for high blood pressure. The good news, if you are wondering how to lower high blood pressure, is that most risk factors are reversible and preventable; for the most part, they are lifestyle factors under your control. In fact, one might argue that the very best high blood pressure remedy is right at your fingertips—making a few lifestyle changes can often go a long way to lower blood pressure naturally. These natural remedies can be remarkably effective “cures” for high blood pressure. There are several risk factors for high blood pressure related to lifestyle. Like everything in the body, these overlap to some extent, but for the sake of ease, we’ll discuss them separately here. 1. Stiffening of the Arteries. Atherosclerosis is a build-up of plaque, which gradually narrows the diameter of your arteries, leading to arterisclerosis, a hardening of the arteries. This loss of flexibility creates vessels that are stiff, and therefore less able to expand with bursts of flow as the heart varies its output throughout the day. When the blood vessels aren’t able to expand with increased blood flow, blood pressure increases. This is common in arteries lined with semi-rigid atherosclerotic plaque. Any thickening or stiffening of a large or small artery will cause more pressure against the walls of that artery. High Blood Pressure Remedy: Yoga for High Blood Pressure. Recent studies indicate that keeping your muscles flexible and pliant, e.g. through regular yoga stretches, may also help keep the arteries pliable and thereby lower blood pressure naturally. A study in the American Journal of Physiology has found that, among people 40 years old and older, performance on the sit-and-reach test could be used to assess the flexibility of the arteries. This simple test of being able to touch your toes from a sitting position, may indicate the degree of arterial stiffness, which often prededes cardiocascular disease. 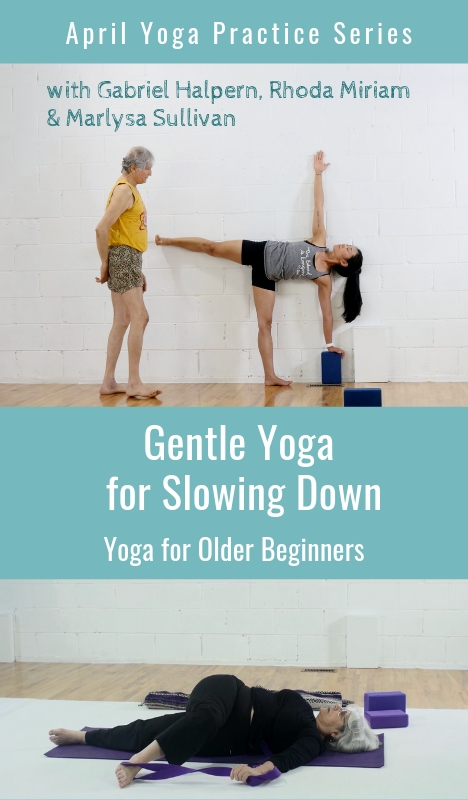 According to the authors, stretching exercises may set into motion physiological reactions that slow down age-related arterial stiffening. 2. Clogging of the Arteries. Whenever there is damage to the inner linning of the artery (the endothelium), which can come from many sources, then cholesterol comes in to patch up the damage. Sometimes cholesterol is a good guy – but like an innocent bystander found at the scene of the crime, it is blamed as the primary cause incorrectly. Optimum cholesterol levels should be between 180 mg/dl and 200 mg/dl. Cholesterol is vital for your brain, all your steroid hormones, cell membranes and more, so cutting it out won’t help. High Blood Pressure Remedy: Vitamin K. Calcium is a basis for plaque formation. Vitamin K2 (M7) at 200 mcg to 1000 mcg or 1 mg a day will help redirect that calcium to the bone and thereby help with reducing atherosclerotic plaque and will also help reverse osteoporosis. 3. Dietary Factors. Excess Salt Intake. The kind of salt you buy in a store is not salt at all, but sodium chloride; this is a salt by chemical composition, but because it lacks vital micronutrients, it is harmful to the body. Sodium chloride increases fluid retention, which puts more pressure against blood vessel walls and increases blood pressure. High Blood Pressure Remedy: Natural Salt & Minerals. Simply cutting salt out of your diet won’t be enough. If you starve your body for salt, your adrenal glands will just boost blood pressure to absorp the necessary salt. To lower high blood pressure naturally, shift to a natural salt high in minerals, e.g. French Light Grey Marine Sea Salt. This sea salt is processed in such a way that it retains over 70 micronutients from the sea, including nutrients to excrete excess sodium Both calcium and potassium are necessary to excrete excess sodium. Magnesium is also part of this process, so proper mineral balance is vital for preventing and lowering of high blood pressure. Magnesium is also needed for muscular relaxation and the middle layer of your arteries contain muscles to contract and circulate blood throughout the body. High Blood Pressure Remedy: Diet. Inflammation is caused by eating a lot of sugar, processed junk foods, omega-6 oils such as corn, soy, safflower, and sunflower, which are already rancid even if it says cold pressed. Being overweight is another reason: fat cells signal the liver to produce C-reactive protein. To reduce blood pressure naturally, avoid the above foods and include at at least 8-10 organic, brightly colored vegetables and fruits every day, which helps reduce inflammation. 5. Chronic Stress. Lowering stress will decrease stress hormones and will reduce blood pressure. Yoga lowers blood pressure naturally by inducing deep relaxation in the body, which is associated with reduced nervous system activity and a feeling of well-being, probably due to an increase in antioxidants and lower levels of the stress hormone cortisol. High Blood Pressure Remedy: Yoga for Chronic Stress. Yoga has a profound effect on mind, body, and spirit. The biochemical changes associated with yoga according to studies conducted in Sweden and India can lower blood pressure naturally by reducing stress and other risks factors for high blood pressure such as: obesity, high blood sugar, triglycerides, low HDL, and waist circumference. From this research, yoga shows great promise as a remedy for reducing high blood pressure naturally.